Appliance Warehouse offers a wide range of products and services at incredibly low prices in Australia. These Appliance Warehouse promo codes expire soon, so don’t forget to bookmark this page now. Appliance Warehouse free delivery offer: Get free shipping to metro areas in Australia on ASKO appliances. Seasonal Appliance Warehouse deal & sale: Now you can save up to $300 on selected Miele dishwashers available at Appliance Warehouse. Limited time Appliance Warehouse coupon: Save $125 on thermostatically controlled, lockable child prrof control Rinnai electric panel heater only at Appliance Warehouse. New Appliance Warehouse discount: Save $66 on Miele classic vacuum cleaner only at Appliances Warehouse. Shop today! 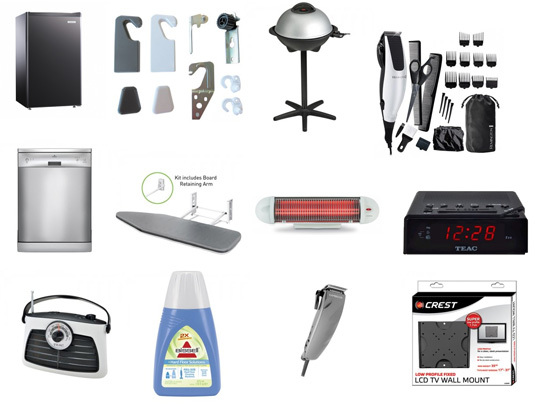 Latest Appliance Warehouse promo code: Get weather shield Everdure E-Churrasco Charcoal BBQ from Appliance Warehouse and save $31. Appliance Warehouse is an Australian owned and operated online electrical retailer which is known for stocking a wide variety of consumer electronics that span over 60 brands and 3000 products. The company has more than 50 years of retail experience and offers not just high quality products but also impeccable customer service. Everything you buy from this website is brand new and comes along with manufacturer’s warranty for your satisfaction and help. As mentioned earlier, you will find a huge range of products at Appliance Warehouse. The company is known to house every possible consumer electronic that you can think of. From medium range brands to higher end ones, you will find almost everything you are looking for. The following are some of the broad product categories that you will find at appliance warehouse. Fridges and Freezers- top mount, bottom mount, side by side, etc. Kitchen- ovens, microwaves, stoves, etc. BBQs- gas, electric, integrated, etc. Laundry- washers, dryers, ironing tables, etc. Heating and cooling- air conditioners, fans, heaters, etc. TV and Audio- TVs, radios, phones, etc. Vacuums- steam cleaners, bagged vacuums, handheld vacuums, etc. Small Appliances- kettles, toasters, bread makers, food processors. Personal Care- hair dryers, hair stylers, epilators. Home appliance products are the ones that we use on a daily basis to make our life much easier. But these devices can be quite pricey to afford for. Hunt for some of the similar branded products at our home & garden section with money saving vouchers. Shop for brand name appliances & create your perfect home with these fantastic promotions. You will find a large number of brands at Appliance Warehouse. From Australian brands to international brands, the retailer houses most consumer electronic brands and the following are a few of the most popular ones: Bosch, Haier, LG, Samsung, Sharp, Fujitsu, Sony, Etc. There is a gamut of deals pouring on the Appliance Warehouse website. If you are planning to buy any kind of consumer electronic, then there is no place better than Appliance Warehouse to buy it from since you get so many opportunities to save! The following are some of the most amazing deals you will find on the website at present. Save 50% on your 4th AEG kitchen appliance purchased in one transaction. Get up to $200 cash back with purchase of an eligible liebherr integrated fridge. Selected Miele Dishwashers up to $300 off. 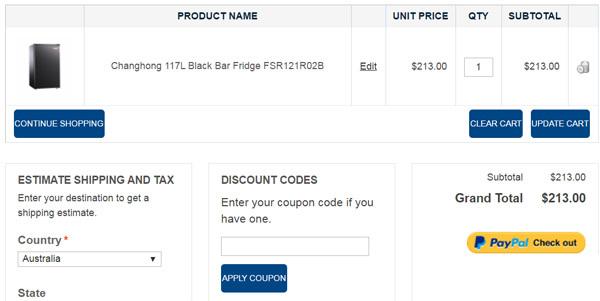 Save $92 on Westinghouse vertical freezer. Enjoy your shopping experience with world class home appliances that match your requirements. Check out extensive range of quality equipments that are in your budget at Appliances Online. Shop for these products with equally impressive discounts & put plenty of valuable dollars back in your pocket. If you have coupons of Appliance Warehouse then you are definitely in for a big opportunity to save further. Coupons offer you amazing discounts which you may not be able to get otherwise. If you are confused as to how to redeem a coupon at the Appliance Warehouse website, then the following given steps will prove useful. The first thing that you need to do is to go to the official website of Appliance Warehouse. Now select one of the broad categories given on the top side of the page. Once you have selected the category, browse through the sub categories and select the one which is most suitable and add it to the “shopping cart”. Once you are done, go to ‘shopping cart’ and then click on checkout. At the time of checkout, you will be asked to enter the promotional code or coupon code. When you enter the code, a new final payment amount will appear on which discount would already be applied. Hence your coupon will be redeemed and availed. If you are a music lover and want some sheet music, instruments, CDs, scores and more with up to 25% savings available at Sheet Music Plus. Appliance Warehouse has an extremely expansive network and delivers all across Australia. The delivery time may vary but generally, it takes from 1 to 10 days for products to reach you within the country. Deliveries are made from 9am to 5pm during Monday to Friday and if you are unsatisfied with a product in any way, you can either get it returned or exchanged within 14 days from delivery. Selected products are sold with free shipping offer. You can do online tracking for all orders you have placed and check the shipping status. If you are facing any kinds of questions, problems or queries, then you can get them all resolved and answered by contacting the customer support division at Appliance Warehouse. You can either refer to the customer support division by phone or email or read the FAQs given on the website. To maintain direct contact with customers, all businesses these days have to maintain accounts and keep them active on social media platforms and this is exactly what Appliance Warehouse has done. It connects, communicates and takes feedback from its consumers and thus tries to improve its services regularly. The following are some of its social media links you too can follow. Like and follow Appliance Warehouse on Facebook through this link and never miss an important notification or update. Whatever the latest happens at Appliance Warehouse is notified to its customers through this Twitter handle link.